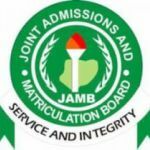 Ntchub Education Info For New Student and Returning: Jamb Alert: Beware of Those that called you for result upgrading. Home / Jamb / Jamb Alert: Beware of Those that called you for result upgrading. Jamb Alert: Beware of Those that called you for result upgrading. The awaiting 2017 Jamb examination has come and go, now we are waiting for the cut off mark from jamb and from the institutions which is yet to be released by them. Now the information we are receiving now is how to upgrade your Jamb result and give it a higher scores. I have been receiving a lot of comments on my post regarding to upgrading of Jamb result. Please beware of any call you receive from anyone telling you to pay in order for him or her to help you in upgrading your result. If truly your result/score need to be upgraded, the Jamb are the only one that has the right to do that and they will notify of the update done on your account with them. You can search on google for Jamb result upgrading and you will be surprise on what you will see online.